A main priority of both ‘Superior Blinds and Awnings’ and ‘Vertilux’ is the environmental sustainability of their products and their impact on the environment. In doing so, Vertilux devised three key ways in which they can both reduce their environmental footprint and retain the quality and superiority their products have become known for. The first of these is by producing higher quality, more environmentally effective blinds. 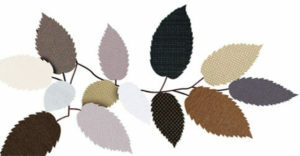 Vertilux produces quality window coverings which can manage the heat and light entering a room. This then results in lower heating, air conditioning, and lighting costs, reducing electricity use and emissions. One example of such a product is Vertilux’s innovative ‘Fully Enclosed Kassett System’, which effectively blocks 100% of ambient light and heat. For maximum efficiency, certain systems can be timed to open and close in response to the sun’s movement. The second of Vertilux’s environmental conscious initiatives is their decision to begin producing blinds from higher quality materials. Their Greenvision™ fabrics are PVC-free, low-VOC, and are ecospecifier assessed. They can also assist in gaining of points as set by the Green Building Council of Australia. The final initiative is regarding how Vertilux makes their blinds. Their ‘Waste Not Want Not’ factory principles now govern all aspects of the factories, ensuring minimal material use and garbage creation. Our environmental impact, including waste, and water and energy use, has been independently assessed and tested. We have a Sustainability Policy on the Vertilux website for everyone to read. Our suppliers are assessed based on our Sustainable Procurement Policy and chosen accordingly. Also, our Sustainability Action Plan ensures that doing better by the environment is embedded within our business and that all our environmental initiatives are continually questioned, assessed and improved.